for our lowest price yet. Hurry and snag our latest amazing deal: Internet 100 for only $35/mth! Unlimited Data, symmetrical speeds, and contract-free. Internet for the best price. Enjoy the speediest downloads and the smoothest streaming on our Fibre Optic Network! No contracts, no fees! We come in peace... and to offer you TV Intro, the biggest basic TV channel package in the biz, boasting over 60 HD & SD channels, plus 100 music channels! Want Internet + TV? Or Internet + TV + Phone? The more you bundle, the more you save! Do yourself (and your pal) a favor. 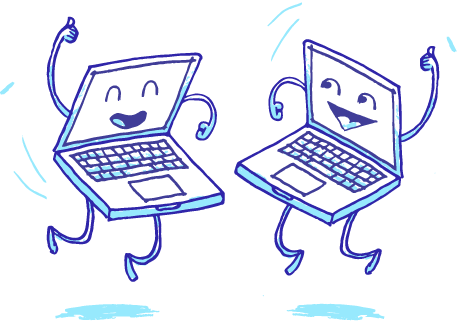 Refer someone to Novus and you BOTH get 1 month free Internet! 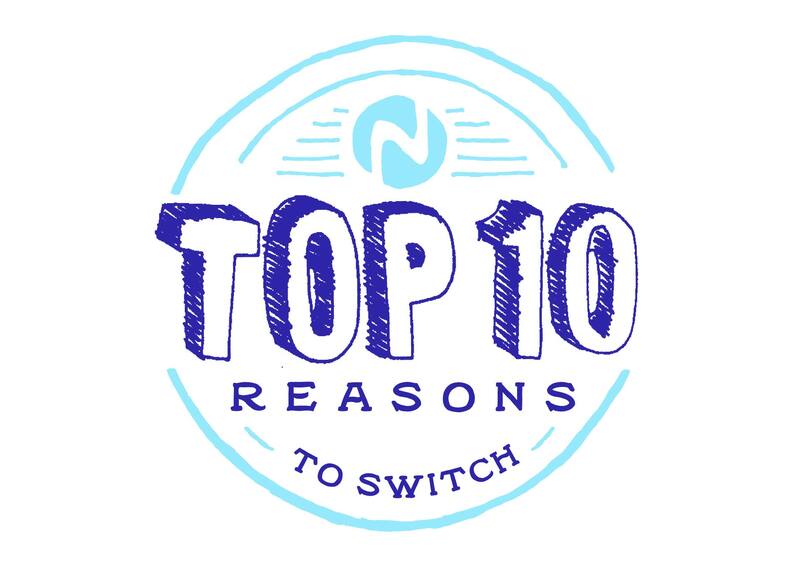 Top 10 Reasons To SwitchReady for a new provider? This will make your decision a no-brainer. Learn more What Our Customers SaySee why the people of Metro Vancouver love Novus, from reviews gathered from all around the net. See reviews Refer A FriendGet free Internet for you AND your friend. Now that's a win-win! © 2019 Novus Entertainment Inc.
®Aeroplan and the Aeroplan logo are registered trademarks of Aimia Canada Inc.
Give us the information about your current PVR, and we’ll reprogram it so it can play with our system. Step 1 – Fill in the information below to confirm ownership of your equipment. Step 2 – Connect your digital box to your TV, the wall cable outlet and an electrical outlet. Step 3 – Call Novus Technical Support at 604 642 6688 to have your box reprogrammed. I confirm that the information provided is correct, the name above is the rightful owner of the digital terminal with the serial number above. Digital terminal listed above is not subject to any lease or rental agreement, and is being re-programmed at my request. Check here to see if your PVR is on the list of ones we can welcome to the family. *As long as these boxes are not from Shaw or OCAP we are able to reprogram them. Tell us your question, and how to reach you, and someone will be in touch as soon as possible. Make sure to include your name, subject, address, message and either your email or phone number, so we can get the right person to get in touch with you. Novus isn’t in your building? Just let us know your address and we’ll add you to our wish list. Thanks for your contact info, we’ll get in touch when we connect to your building. Tell us more about yourself – these optional questions can help us get into your building faster. Thanks again for sending us this information. This will help us get into your building. Is this an apartment or house? What is the building name? What is the age of your building? Do you rent or own your place? Who is your current service provider? Submit your information, so we can start emailing your monthly invoice to you. 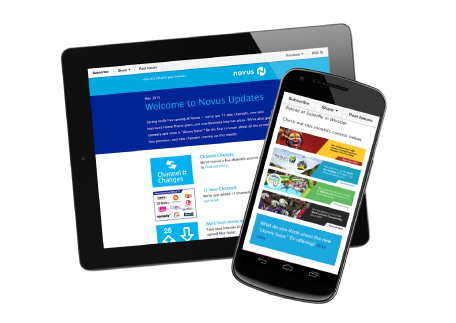 Fill in the blanks below to receive Novus Updates (we promise we won’t spam you). We’ll also automatically enter you to win 1 month of free Internet, winners drawn every month. If you are a Novus customer, enter your account number or address to also receive a credit for one free VOD movie. Tell us where you're interested in having an Away Number, and we'll let you know if it's available as soon as we can! For your chance to win no contest selected please enter your name and email address you used to sign up for Novus Updates. We will contact winners by phone, good luck. Send us your feedback. Comments are anonymous, so say what you want. But please keep it family friendly! Sorry, we could not find your channels.